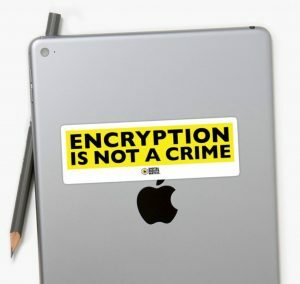 “The announcement made by the Attorney General is yet another sign that this Government is ill-equipped to adequately protect citizen’s personal data in a digital age,” said Digital Rights Watch Chair Tim Singleton Norton. Attorney General George Brandis announced that his proposed amendments to the Privacy Act will create a new criminal offence of re-identifying de-identified government data. It will also be an offence to counsel, procure, facilitate, or encourage anyone to do this, and to publish or communicate any re-identified dataset. “This move is extremely concerning and seems to be preemptive of the work of the Productivity Commission and its inquiry into data availability and use. The Minister is alluding to potentially a very broad offence of ‘facilitating’ re-identification,” said Mr Singleton Norton. “The Attorney General states that with advances of technology, methods that were sufficient to de-identify data in the past may become susceptible to re-identification in the future. That’s absolutely correct – the SLK581 keys purported to be used in the recent Census have already been shown to be ineffective at anonymising personal data,” said Mr Singleton Norton. “It is positive to see the Attorney General thinking about privacy concerns and the re-identification of data, but this is a challenge that needs to be addressed with appropriate consultation, not hastily prepared legislative proposals,” he concluded.